Join us for our Hatha Yoga, Qigong or other exercise programs! 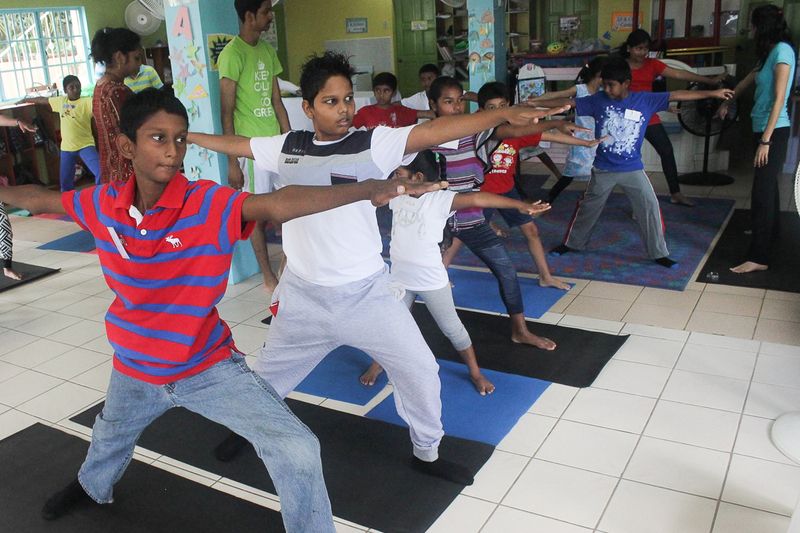 Hatha yoga is an integral part of the daily discipline at BSTT. 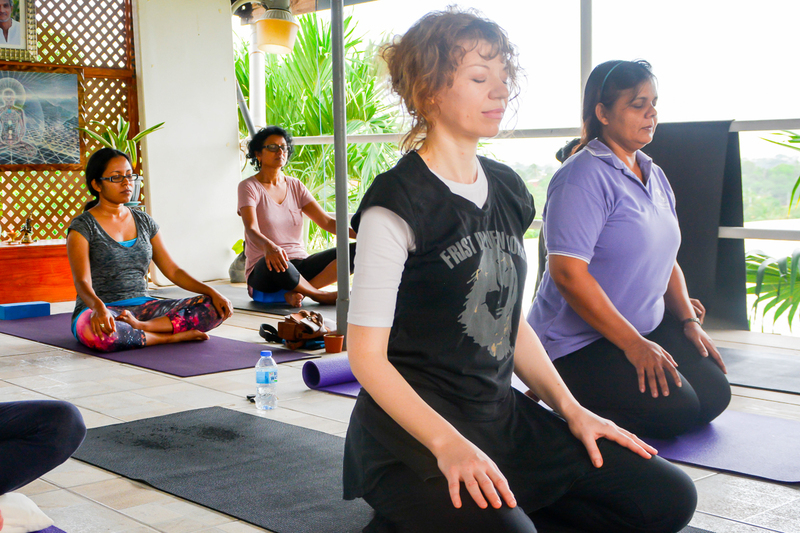 Ashram residents as well as visitors from the community benefit from the wide variety of classes and styles offered, such as traditional hatha yoga, easy flow yoga, Chinese qigong and more. We provide classes for all levels of physical mobility led by highly qualified teachers. 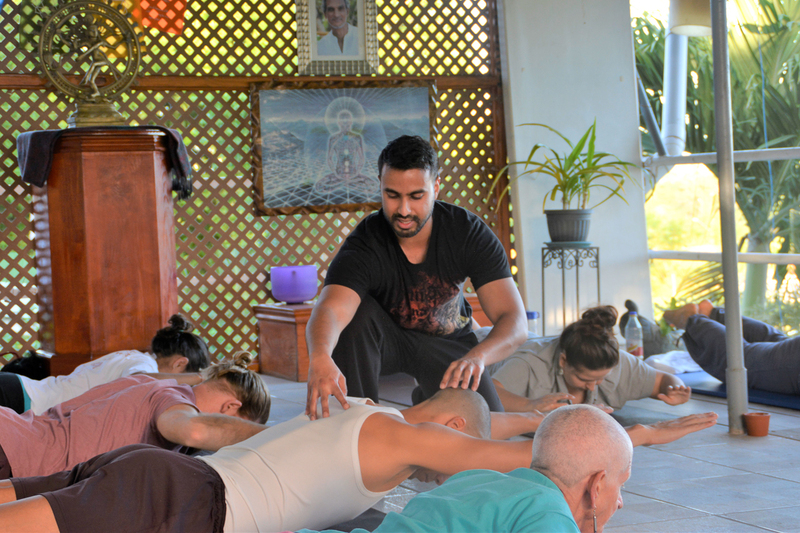 With our exercise programs we teach students to strengthen their bodies and feel and explore subtle energy as to obtain a complete energetic and physical upliftment. In this way we support individuals on their path of evolution and holistic wellbeing so as to realize their full potential. The great sage Patanjali defines yoga as the restraint of the modifications of the mind. Hatha yoga is a method of cleansing and bringing the mind under the control of the will through physical postures. The body is used as a tool to control the mind and work the pranic body. Hatha is a Sanskrit word which has different levels of meaning corresponding to different realisations of our reality. At the grossest level it means a gentle forcing of old habits out of the body and new ones in. When we understand where the gentle forcing comes from, we move from body awareness to cosmic truth – universal energy fields: sun and moon, which is what hatha literally means. As we cognise our physical relationship with the universe our understanding shifts, taking us into deeper levels of realisation. The physical is used to obtain the deeper philosophy of yoga by drawing the attention from the grosser parts to the finer parts: first to witness our posture from head to toe – sitting, standing, walking, in every moment. This is the beginning of mind-fulness. Then working deeper – feeling the organs in the body and feeling subtle energies throughout the body. The experience of anything gross is a pointer to something finer and less visible. And in hatha yoga we become aware on how the gross impacts or inhibits the finer: physical posture impacts on internal organs which impact on the flow of energy. Hatha yoga means becoming increasingly conscious from one level to another. When you are holding a yoga posture, observe what the mind is doing: is it grumbling at having to hold the position? Does it want to go back to bed? When you gently exercise your will over your mind, you are training the mind to remain calm, the breath to remain slow, and the body to remain relaxed in any stressful situation you might encounter in life. Not only are you developing a good physical posture but you are developing an inner posture as well. You are learning to go to your edge and then go that little bit further, so when someone pushes you to your limit; you will find you can go that little bit further in tolerance, peace and love. We are multi-dimensional beings (physical, mental, emotional and spiritual) and therefore yoga’s impact on our health is much more than just physical. Yoga works on creating a harmonious relationship between all levels of our being, which ultimately helps to restore us to a better state of health, sense of well-being, and balance. Hatha yoga was developed by yogis thousands of years ago as a way of counter-acting the effects of the many hours spent sitting still in meditation, and ultimately as preparation for spiritual liberation. These asanas (yoga postures and movements) gave these yogis a way of exercising their bodies and maintaining their health, with the least amount of effort, time or stress – while still being able to pursue their ultimate and primary goal of self-realization. These asanas enabled all muscles and soft tissues to be stimulated and strengthened, and all internal organs to be massaged. Pranayama (breath control) was developed as a way of oxygenating the body while at the same time eliminating unwanted toxins. Asanas along with pranayama stimulated the circulatory system as well as all other systems of the body allowing for optimal health. Thus, today hatha yoga is also practiced for the physical health benefits that it provides, and has been proven extremely effective for various disorders. Qigong is a traditional Chinese holistic system of postures and movement coordinated with breathing, and meditation. Qigong is used for health benefits and spiritual realisation. Qi stands for the “life energy”, as does prana in the yoga philosophy. 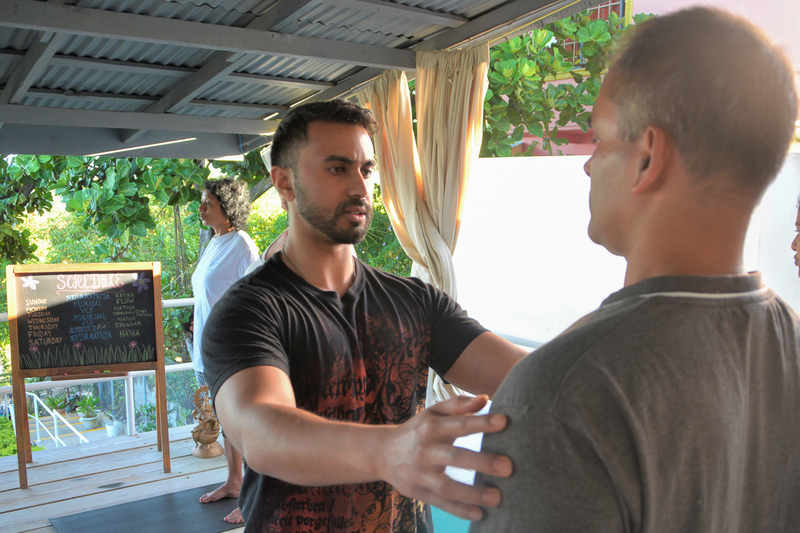 The qigong practice helps to cultivate and balance the qi. At our morning exercise classes we practice mostly the active form of qigong, where slow movement is typically coordinated with deep breathing and a strong mental focus, sometimes accompanied by visualization of guiding qi through the body or heaven and earth. The slow movements and traditional postures help strengthening and stretching the body, increasing fluid movement (blood, synovial, and lymph) and improving the awareness of energy movement in the body and how the body moves through space. Often practiced at our center is the Eight Section Brocade Qigong, or in short 8 Brocades, a series designed for healing and rejuvenation. Each exercise targets a different area of the physical body and different qi meridians. The series can be practiced as a whole or even for only a few exercises as desired. Our yoga classes are held every morning between 7 and 8 am and can be attended by everyone without notice, for a small fee. Classes are taught by long-term teachers with a consistent student following and by guest teachers who are visiting the ashram. 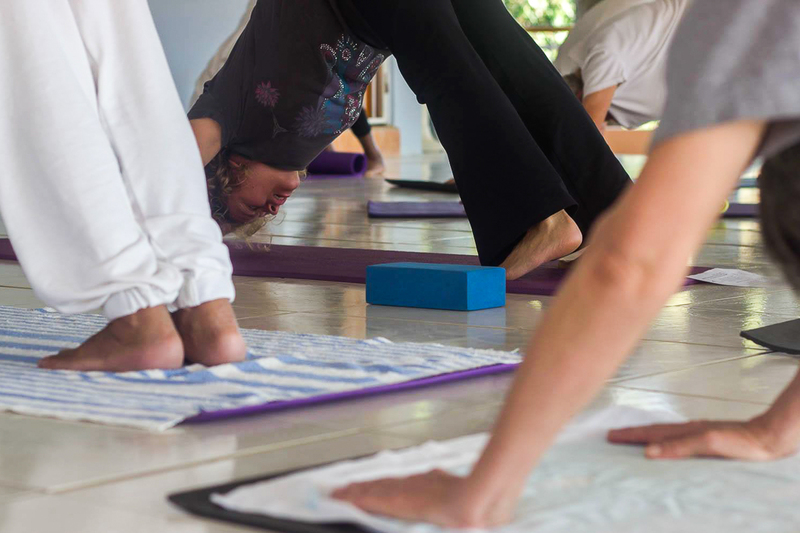 Each brings a unique style of practice to the yoga program while anchored in the foundation of the Blue Star teachings. Many of our teachers are also available for individual appointments. In a lot of periods we additionally offer evening yoga classes to accommodate the schedules of students from the community. Through the guidance of Master Sri Vasudeva students cultivate awareness of all levels of being while strengthening and revitalizing the body. Students receive the direct experience of working with the Kundalini energy and how the physical yoga postures can stimulate that conversation of energy and opening up of the consciousness. A regular feature in many of our classes and workshops are the pranayama breathing exercises. We practice for example the cleansing breath, the ‘breath of fire’ (Kapalabhati), the ‘bellows breath’ (Bhastrika), and the ‘root lock breath’ (Mulbhand). These breathing exercises not only provide physical benefits such as oxygenating the body and eliminating toxins, but they also stimulate the energetic body powerfully. Many practitioners choose to do these breathing exercises immediately upon waking up in the morning. After these exercises are completed, hatha yoga asanas can be practiced to powerfully integrate the awakened energies into the physical body. Due to the construction project for the new meditation hall our yoga dome was recently disassembled and is no longer usable for yoga classes. We will soon have a beautiful new hall for meditation and yoga next to the guesthouse. In the meantime we have renovated the former laundry area above the wellness garden into a beautifully decorated yoga deck. This area has developed into a serene and sacred place for individual and group practice.